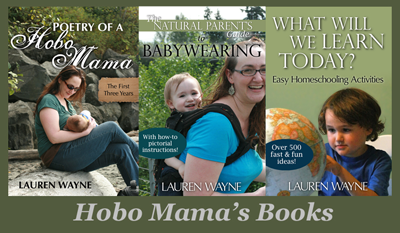 Hobo Mama: Wordless Wednesday: Hear me speak about breastfeeding! For instance, today's stream includes my talk on long-term breastfeeding, along with speakers on potty learning, fostering independence, and learning to read. The full summit brings together natural health, wellness, and parenting professionals who are dedicated to helping parents care for their family naturally, in the topical tracks of pre-conception, pregnancy, and birth; breastfeeding; health and development for children; natural health and wellness; care and nurturing for mothers; and education for natural-minded parents. So join me over at the Nourished Living Summit today! Once you register with an email address, you'll receive an email every two days with the next speaker presentations available, and you'll have 48 hours to listen. Or, you can purchase the full summit now, or individual tracks, to listen to, again and again, at your leisure. #Ad: Tell me how your children have changed your life & enter my giveaway for a $100 gift card from #DeliveryMan the movie! And just because I wasn't wordless doesn't mean you didn't have an awesome photo post today, so here's the linky to share your Wordless Wednesday posts! 1. Natural Parents Network ~ Love ~ Linky! Disclosure: Nourished Living Summit links are affiliate links. Congrats, mama! It sounds like you have so many exciting things happening right now. Thank you for all you do in spreading the wonderful news on breastfeeding!